Strawberry Pot for Merriment Mini Fairy Gardening. 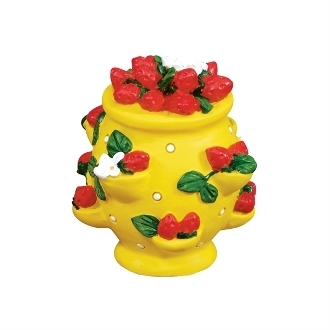 Full Description: This bright yellow strawberry pot goes perfectly in a veggie-themed mini garden! Made of resin with hand-painted details. Features all-weather paint.